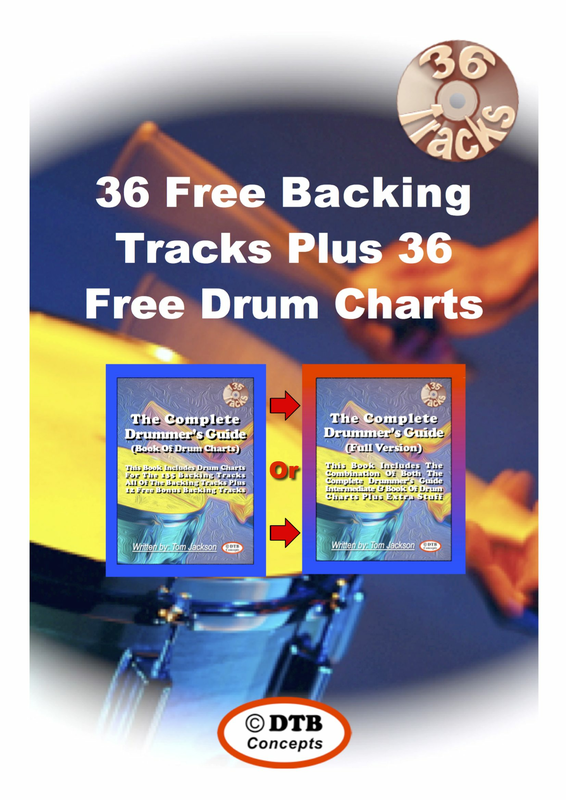 This free download includes, 36 free backing tracks, plus 36 free drum charts for these backing tracks, which have been designed to work in conjunction with the latest version of: "The Complete Drummer's Guide," (Printed Version). "The Complete Drummer's Guide (Printed Version)" is only available in Australia, NZ and Malaysia, and the 36 backing tracks, plus 36 drum charts, presented within this download, are offered for free, to those who have purchased the printed book. Therefore instead of including an enclosed CD of the backing tracks inside the book itself, these 36 matching backing tracks, can be easily downloaded in this way. Please note: There are a total of 135 backing tracks and all of the 135 backing tracks, plus drum charts, can be purchased separately, in a downloadable ebook format, entitled: "The Complete Drummer's Guide (Book Of Drum Charts)" for only $7.95 USD. 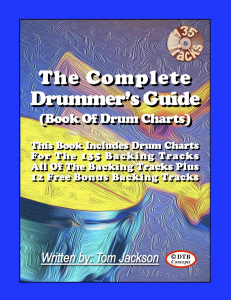 "The Complete Drummer's Guide (Book Of Drum Charts)" works in conjunction with the printed version of "The complete Drummer's Guide," by offering 135 backing tracks, plus drum chart arrangements for the backing tracks. 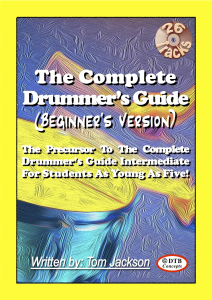 Please click the link below for details, plus the download link for, "The Complete Drummer's Guide (Book Of Drum Charts):"
However, "The Complete Drummer's Guide (Full Version)" as the same suggests, incorporates everything "All In One." So that means it's the combination of the (Printed Version) & (The Book Of Drum Charts) plus all the extra stuff, iincluding an additional 34 percussion grooves and all of this is available to anyone anywhere, with access to the internet, for only $14.95 USD. Also available for only $3.95 is: "The Complete Drummer's Guide (Book Of Transcriptions)," which features 65 drum transcriptions, ranging from classic pop to progressive rock, including some contemporary jazz and swing.